ikat bag: MedHub Pattern Now Available! It's marvelous what one can accomplish when one gives up sleeping isn't procrastinating. Maybe every month should be October. It would wreak havoc on my blood pressure (irony!) but boy, would I actually get stuff done. Nothing very unusual in there, except for maybe the narrow tubing for the IV bag. It's something you can buy at medical supply stores, but I got mine online at amazon.com - just search for "1/8" tubing" or something to that effect, and you'll get some affordable options for shorter or longer lengths. The 1/8" is the external diameter, by the way. 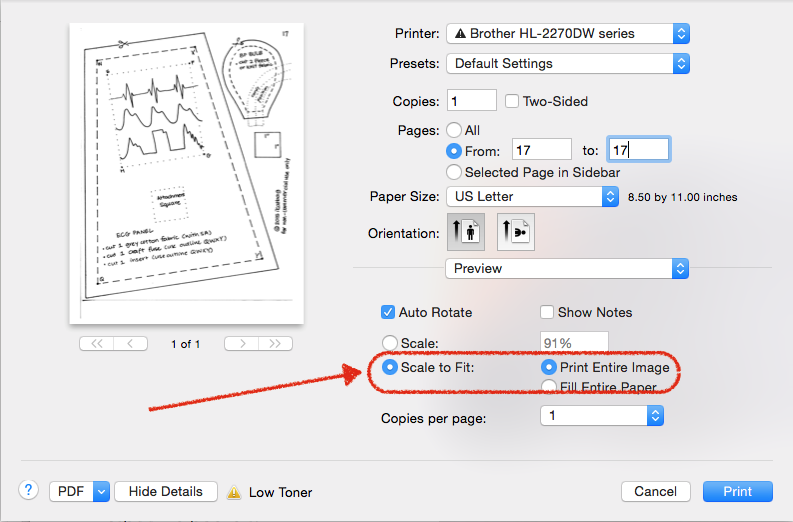 Please remember to size the templates to 100% when printing them out on your home printer. Here are a couple screenshots of my printer menu (yours may be different, but all printers have a menu like this) as an example. 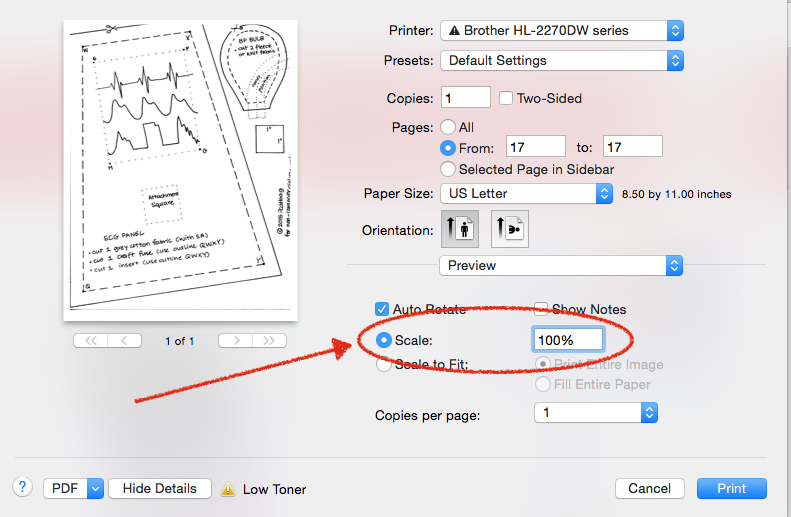 Some printers automatically size things to fit some default borders in your system - mine scales this document to 91%. We need to manually override this to ensure that the printout is the actual size. So we choose the scale field and enter "100%". Don't panic if the preview image shows a little bit of the edge of the template being cut off - if anything, you might lose a tiny bit of the corner of the seam allowance, but nothing too important. As far as sewing level goes, I'm going to say that this is one of my easiest patterns. Beginning seamstresses will probably be comfortable - there are no zippers or strange hardware installation or challenging tailoring techniques. There is one maneuver in which you have to attach a cylinder thingy to a circular base and it could be a little fiddly, but only because it's smallish and a tad slippery. Otherwise, there are no nasty surprises, and the seams are almost all straight. 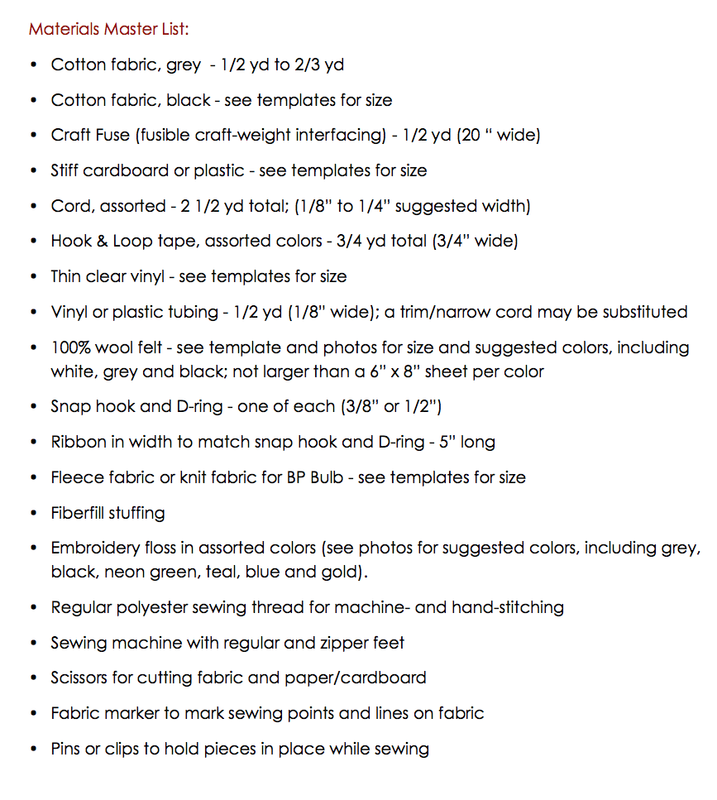 Plus, we're working with cotton fabric primarily, so an easy sew, overall. What's important to note is that the MedHub pattern is an add-on pattern. This means it makes only the Med-Hub. It does not make the Owie Doll shown in the enticing front cover photo, or the sleeping bag, or the clothes or original Doll Accessories, which are from the original Owie Doll sewing pattern here. Or you can just go shopping right now and buy it here. 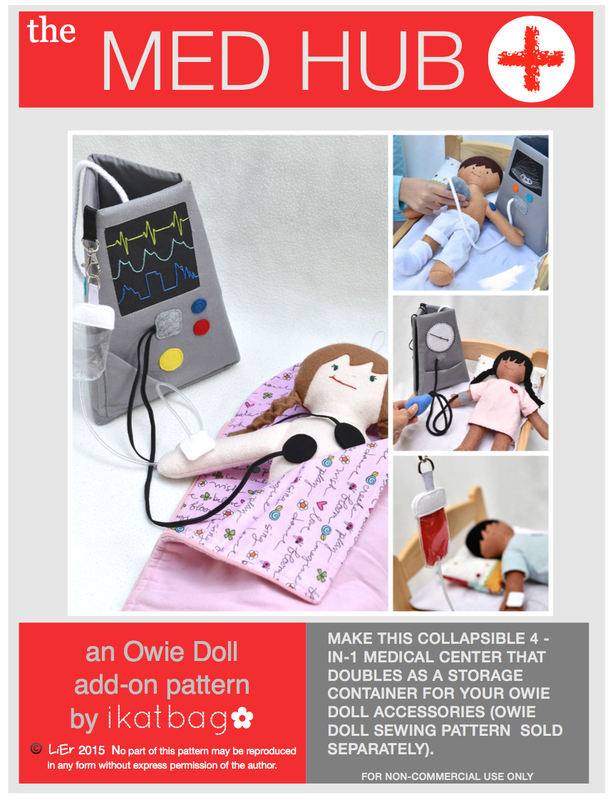 Quick reminder: we've got an Owie Doll Kit promotion going on now! 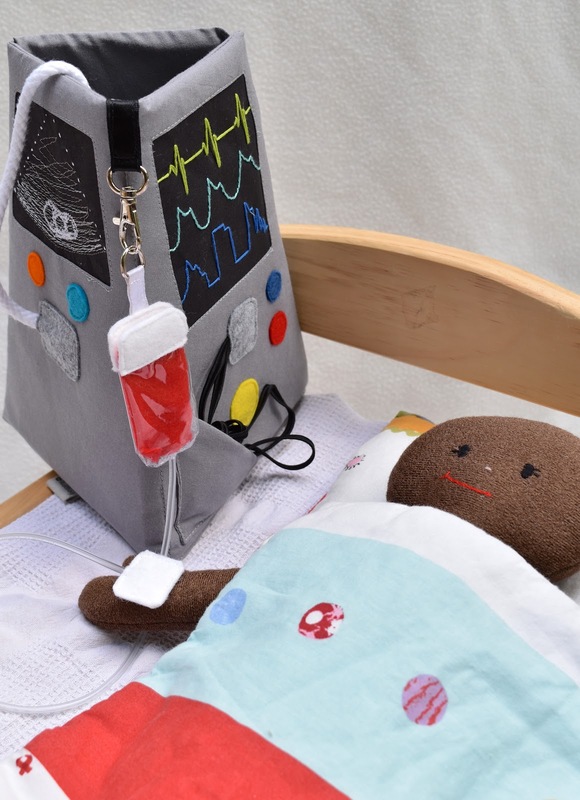 If you bought an Owie Doll Kit or Kit+Pattern bundle anytime in the month of October 2015, you are eligible to get the MedHub pattern FREE. 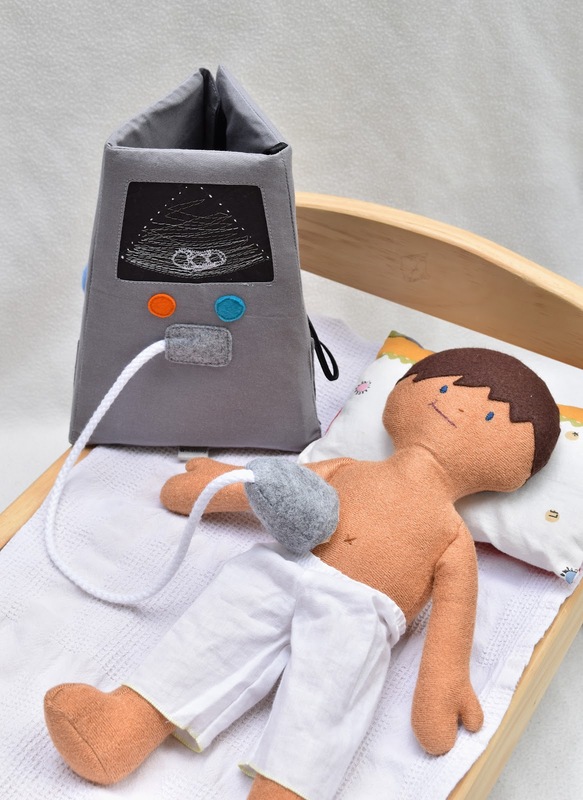 All you need to do is email me your receipt or other proof of purchase showing the date, and I will email you back a link to download the MedHub pattern for free. I'm usually pretty prompt, so if you email me your receipt and don't hear from me sometime within that week, shoot me another email to inquire - just in case your first message got devoured by the spam filter. Incidentally, the kits are flying off the shelves! Thank you for snapping them up so quickly - I love you guys. There is still time to get yours, but you might want to act early to be sure the hair and skin colors you prefer are still in stock. Get them here. And now, I am going to retreat into my October cave for a while. I might pop back in from time to time with Kit and Doll Updates and random ventilation but I must seriously get my act together and start measuring and drafting and fitting. The children have spoken: this year I will need to dress two archers and one animal. Notice the complete absence of princesses, mermaids or fairies - should I feel morose or elated by this poignant movement away from all things childhood and girly? Neither; I have no time for feelings in October. Onward! Floor the pedal and let's make some costumes, woman - Halloween is imminent! Holy freaking cow. You are the coolest person ever. How did you even come up with this, let alone pull it off so beautifully?! Wow. Beyond cool. This is beyond cool. I have to make one owl, one fox, one cat, and one rabbit for Halloween this year. It's definitely time to start! Never mind, I found it, told you I was feeling slow and not finding things right now. So wonderfully creative! I wish I could give one to every child that ever got admitted under me. How they'd smile! 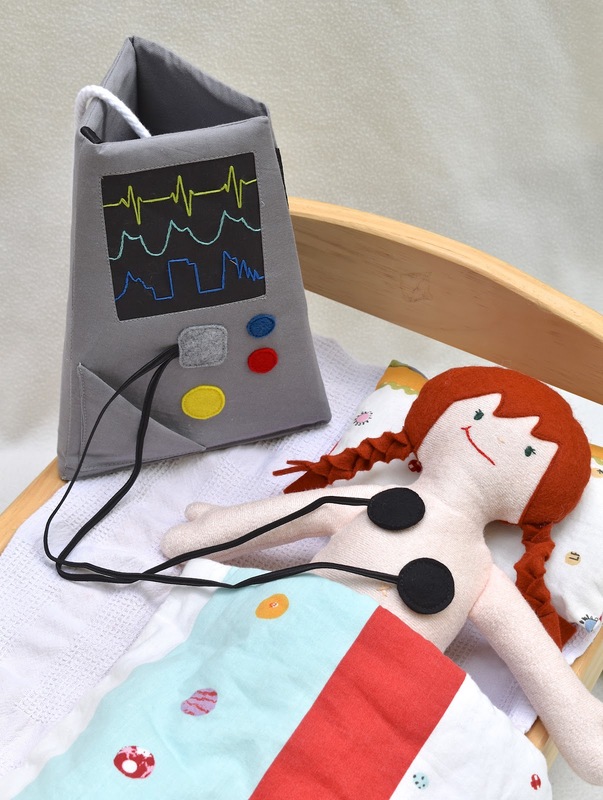 PS If you ever feel like expanding to a surgical line of owie dolls, feel free to call on me!